Can you imagine having a hateful person following you around, all day every day, criticizing you and pointing out every flaw or waiting to shame you when you make a mistake? It would feel awful. Everything in us would want to get away from that person as soon as possible. But if you experience self-hatred, you can't. The criticism comes from within. But you can learn to stop self-hate and enjoy your life and relationships. When you haven't experienced self-hatred before, it can seem so foreign that we would talk to ourselves in such a hateful way. It can be hard for people on the outside to know where it comes from or how to help. "I knew you would fail." "No one wants to be around you." "Look at yourself screwing up again." "Can't you just be normal?" When someone experiences self-hatred, it feels like they can never get away from that relentless critic. They experience constant ridicule and shame that comes from inside their own mind. Self-hatred is something that develops over time and it is influenced by many factors. There is usually not just one particular experience that would trigger such self-hate, but likely the influence of many experiences over time. It is normal to want to belong, be accepted or perform a task well. However, sometimes our expectations of self can be so high that they are unattainable by any human. These extraordinary expectations often lead to us falling short and feeling as if we have failed. Our inner critic shows up loud in those moments to shame us and remind us how disappointing we have been. Even when our rational side might recognize the expectations are unreasonable, our inner critic continues to drive home statements of self-hate. In an effort to be connected to others, we may have learned over time that meeting the expectations of others works well. We might learn through social experiences that when other people are happy with us, we can feel happy with ourselves. This is not a healthy way of thinking about relationships and can lead to significant patterns of dependent behavior. Nonetheless, some people feel devastated when they are not able to meet the needs of others or they feel they have disappointed someone. Statements of self-hatred suggest that when we don't meet the expectations of others something is wrong with us, we have failed or that we are not worth being loved or valued by others. A perfectionist is often viewed as someone who allows themselves no margin of error, no wiggle room for human mistakes or limitations. They expect perfection of themselves (and possibly others) at all times and in all situations. It is important to note that we often develop a perfectionist mindset in an effort to protect ourselves from pain and feelings of disconnection. The emphasis is on performance with the belief that, when you perform perfectly, you are somehow preventing yourself from feeling pain. This pain could include things like shame, embarrassment, loneliness, abandonment, ridicule, judgment, and more. Many people with extreme self-hatred have been through traumatic and emotionally challenging experiences in their past. These experiences often include sexual, physical or emotional abuse or neglect. When children go through experiences of emotional abuse and neglect, they begin to view the world as unsafe and the people around them as dangerous. In an effort to try and make sense of their world, they may develop a narrative that makes them feel as if they are not worth loving and have no value. People may have even experienced these things being said directly to them by a parent or other loved one, hateful statements that soon become an all too familiar part of their inner critic. There is often a significant value placed on performance. Although there is a natural tendency in us to want to do well and not feel left behind, we are often distracted with looking at what everyone else is doing. It isn't harmful to look around and notice what others are doing, it is when we place value on that observation that it becomes painful. For those who experience self-hatred, it is common to do what is referred to as upward comparison. Upward comparison simply means that they have a tendency to only notice and give value to people who are performing "better" and, in turn, devaluing themselves with statements of self-hatred. Self-hatred impacts and influences many aspects of daily living. In fact, the self-hatred can become so escalated that it prevents people from making important decisions, taking risks, connecting with others and achieving goals. When someone experiences self-hatred, the relationship with self can feel painful and confusing. Our self-concept consists of the words we would use to describe ourselves. Understandably, someone with extreme self-hatred often has a negative self-concept, using statements related to worthlessness, shame, and hopelessness. Self-esteem is in danger as well, as self-esteem describes how we feel about ourselves, such as our feelings of worth or value. Considering work is often performance-based, in terms of behaving a certain way, meeting job expectations and interactions with others, it is not surprising that self-hatred can impact our work life. When we feel worthless or incapable, we may be less likely to take on projects, find it difficult to work collaboratively with others, feel resentment toward coworkers, put ourselves down for lack of performance and even sabotage our own efforts to do well. The essence of self-hatred is a message that we have no value and nothing to offer others. It can be extremely difficult for people to make and maintain friendships when they are burdened with constant and relentless negative self-talk and beliefs about self. In an effort to avoid the pain of criticism, judgment or abandonment, people may not reach out at all to meet new people. When they are approached by others they might come off as cold or uncaring, which can prevent them from getting close to others. 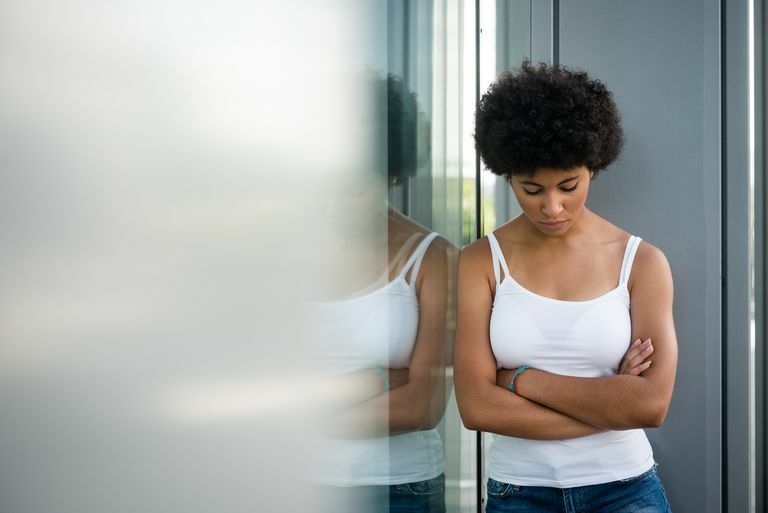 Since a significant influence on self-hatred comes from past social experiences like abuse and trauma, family dynamics can feel very complicated for someone struggling with self-hatred. They may, or may not, be in a situation that requires them to be in contact with someone from their painful past, causing distress and a tendency to withdraw in an effort to avoid experiencing painful memories and emotions. Even when people are not dealing with a traumatic family history, their perfectionist mindset and unrealistic expectations of self can get in the way of being able to enjoy family interactions. People can find themselves so focused on performing perfectly in those settings that the pressure becomes too much for them to enjoy family connections. Romantic relationships can feel complicated and confusing for someone who experiences self-hate. As human beings, we have a desire to connect with others and feel a sense of belonging or acceptance by someone close to us. However, the extremely critical voice of a person with self-hatred will likely fight the idea of closeness and intimacy. As much as someone might long to feel close, the fear of someone seeing their perceived imperfections, limitations or lack of value can be overwhelming and get in the way. The inner critic is painful enough, but the thought of someone close to us seeing or thinking those things about us as well can feel devastating. Self-hatred tells us that we are not capable and will likely fail or fall short. You may have goals, desires, and dreams that feel distant and impossible because self-hatred gets in the way, sitting right in between where you are and where you want to be. You may look at others and think they are getting it right, while you suffer from constant self-critical statements. Living this way is emotionally exhausting and can result in a lack of desire to set goals at all. Decision making can be a significant challenge for someone who struggles with self-hatred. As with goal setting, someone with an extreme inner critic can find themselves emotionally exhausted when trying to block out the relentless voice of self-hatred to make sound decisions for themselves. When we see ourselves in such a negative way, we may feel less willing to take risks that will help us grow, pull away from opportunities to connect with others and find ourselves stuck in a pattern of negative self-talk that can hijack or paralyze our decision making. Living with self-hatred is overwhelming, exhausting and isolating. The good news is that there are steps we can take to quiet that inner critic, calm the negative storm, and move forward in positive ways. If you struggle with self-hatred, your inner critic might feel relentless and you may begin to believe the statements it constantly feeds you about yourself, your abilities, and your worth. The statements in this hateful narrative start to feel like fact when they are not. Slowing ourselves down to consider where these statements are coming from can be helpful. Challenge these statements in an effort to distinguish feelings from facts. Give yourself permission to no longer use statements that encourage self-hate. Just because the inner critic is a familiar presence doesn't mean it is helpful or necessary. Self-hatred voices like to tell us that we have no strengths, which is simply not true. Take time to identify your strengths. If you find it difficult to come up with some on your own, you might want to consider asking others to help you. It can be easier for others to notice things in us that we can't see in ourselves, strengths included. You can also find helpful tools online, such as the Values in Action (VIA) survey, to help you start identifying your personal strengths. When we have a negative view of self and are used to talking to ourselves in hateful ways, the idea of someone complimenting us can feel foreign and uncomfortable. It can be easy to dismiss compliments by putting ourselves down or minimizing the compliment in some way to help ourselves not feel so vulnerable in those moments. Allow yourself to practice accepting a compliment. This can be something as simple as saying, "Thank you" without following it up with a self-critical or dismissive response. Practicing this will help you to continue challenging the old narrative of self-hate. People who struggle with self-hatred can find it easy to be compassionate and forgiving toward others while having no compassion toward themselves. In fact, the idea of self-compassion can feel impossible or confusing for someone who is used to living with a relentless inner critic. Psychologist and self-compassion researcher, Dr. Kristin Neff, PhD, explains. "Instead of mercilessly judging and criticizing yourself for various inadequacies or shortcomings, self-compassion means you are kind and understanding when confronted with personal failings. After all, whoever said you were supposed to be perfect?" It is common for self-hatred to be focused on the past, revisiting painful moments and emotions such as shame, guilt, anger, embarrassment or a sense of powerlessness. In that space, there is no room to forgive ourselves or embrace all of who we are. Practice keeping yourself in the present, focusing on how far you have come and allowing yourself to be forgiven and accepted. Even when it feels a bit uncomfortable or different, remember that our goal is to decrease self-hatred and practice greater self-compassion. Remember that stopping self-hatred takes time. It might feel challenging and impossible at times and you may even find yourself grieving this all too familiar part of you, which is okay. As you allow yourself to let go of the negative critic you are making room for more joy, peace, and connection in your life.